Enjoy wireless connectivity and room-filling sound with the Onkyo TX-8220 Stereo Receiver. It features Onkyo's WRAT amplifier technology and produces up to 45W per channel at 8 Ohms for robust audio playback. Bluetooth connectivity is built-in to allow you to wirelessly stream music from compatible audio sources such as computers, smartphones, and tablets. 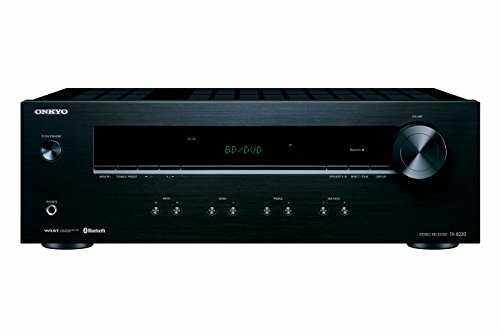 For more traditional connectivity, the Onkyo TX-8220 has a digital coaxial, optical, four RCA, and a phono RCA input for connecting a variety of audio sources. A remote control is included as an added convenience. Box Dimensions (LxWxH) 21.5 x 14.0 x 9.0"